For retails investors its better to avoid IPOs forever. When there are thousands of great companies to choose from why invest your money in an IPO? Let me start with this – after the losses in the DLF IPO and the SHIPPING CORPORATION OF INDIA Ltd. IPO – I was done with IPOs. I mean I took a permanent decision NEVER to invest in an IPO. And that stands even today. There are a lots of reasons why you should not invest in an IPO. I have listed 8 reasons why you should not invest in an IPO. 1. Premium Just Too High: The company may be doing great (just like DLF) so they will price in the cost as premium in the IPO. Poor investors pays the premium to participate in IPO only to realize that the information they got from the company was fabricated. Read this to know SEBI penalized DLF for hiding information in their offer letter of IPO. 2. No Guarantee of Listing Above Premium: Like I said IPOs do not come for free – investors have to pay a premium. Once they pay a premium there is no guarantee that the IPO will list above that. Barring few, most IPOs actually list below their offer price level. And again its the retail investors who sell to limit losses on the listing day. 3. 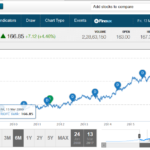 No History of the Company: Its tough to analyze a stock of an existing company – but at least you can see last one year low and high, moving averages etc. But with an IPO there is no history to analyze. The only thing we have is the offer prospectus. Just believe whats written there and invest. This is not correct way to invest. And for those retail investors who were not willing to sell at a loss – their wait sometimes goes on for years and still they do not even get their break even price. 5. No Clear Reason For the Premium: I have never seen any company coming with an IPO giving clear reasons as to why they have offered such a price. They create a hype by means of advertisements and when the hype is generated – depending on the kind of hype a price band is reached at. Well I may be wrong but this is what my experience says. If anyone has any knowledge of how the offer price is reached at please share in the comments section or email me. But I have not seen a single IPO in the last few years offering a reasonable offer price. All are offered at least 20-25% more than what they deserved to be priced. But since its almost certain they will get the money they are asking from the market – such an offer is given. For many investors, the only real exposure they have to the IPO process occurs a few weeks prior to the IPO, when media sources inform the public. How a company gets valued at a particular share price is relatively unknown, except to the investment bankers involved and those serious investors who are willing to pour over registration documents for a glimpse at the company’s financial. So basically create a media hype – offer a highly priced IPO – extract money from general public – and NEVER return their money – how easy. Then money travels from one shareholder to another – the company keeps the billions of cash for ever. 6. Small Offer Makes Small Money: And this one is perhaps the most important point why people like me and you should never invest in IPO. See retail investors get 30-35% of shares. So the maximum application size cannot exceed 100,000 to 200,000 per investor. Even if you go for the maximum size you will be only allotted 30,000 – 40,000 worth of shares. Assuming you get lucky on listing day and were able to sell at a 10% profit. You make anywhere between 3000-4000 in about a month. Can Rs. 3000 really make a difference to your life? Think about it what can you do with Rs. 3000? Nothing really. Why then take the hassle of investing in IPO? 7. All Money Blocked: If you apply for maximum allotted shares for retail investors – you will have to part with all the cash for a few days until you are allotted the shares. The cash that was unused will be refunded back to you. The whole process will take about a month. And there you are, really worried about your 1 lakh 70 thousands in the hands of the underwrites of the IPOs (the brokers like Karvy etc.). Now days at least its all online but just a few years back they used to courier the checks. Now what if the courier doesn’t reach? What if there is a spelling error in the check. Send the check back by courier, write an application, wait for another month for the courier to arrive. Do not sleep well to get back your own money. And people who don’t have an online Demat account still have to go through these ordeals I think. But I am sure its all finished now thankfully. 8. Stocks Not Arriving: You know what. When I applied for DLF IPO I got some stocks worth Rs. 15,000. And to my horror the stocks NEVER arrived in my Demat account due to some “technical mistake”. 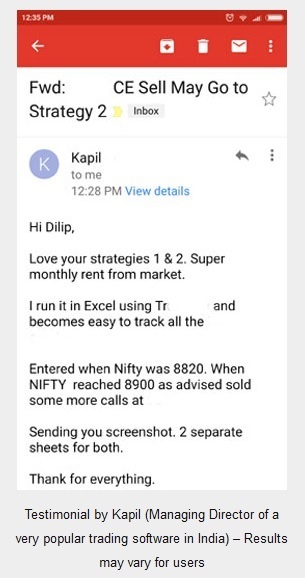 If I remember I was running from pillar to post on the listing day to get “my” shares which I had already paid for to be in my trading account. Yes three applications and a waiting period of 7-10 days. And the worst part I applied online through my broker. If you think online things can’t go wrong – then you are wrong. Well anything can happen. 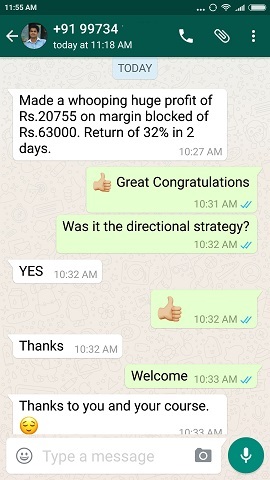 I still cannot forget that ordeal because by the time I got the DLF shares in my account it was trading well below the offer price. 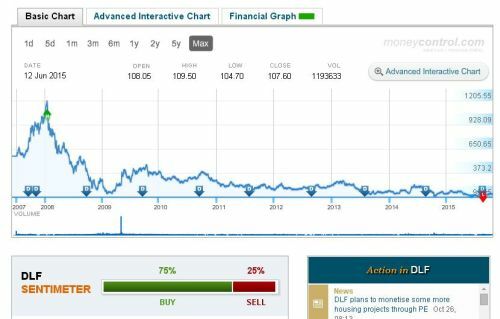 DLF if you remember opened bumper on the listing day and then after a few days still biting dust. 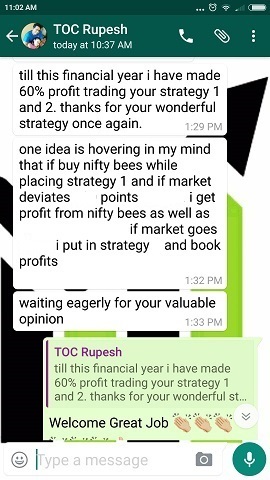 In view of the above I request you to NEVER EVER subscribe to an IPO. When you can always buy the same companies shares later why go through all the hassles of an IPO? That’s the reason I sent you an email to stay away from Interglobe Aviation Limited (IndiGo) IPO. Tell this to your kids as well and your friends. We have enough companies in our hands to trade. Let others participate, you stay away. Many thanks for reading this really long post. Please share your IPO experiences in the comments section below. Will really make for an interesting read for all of us. Thanks for sharing, all good, solid reasons to avoid the IPO. In any case retail investors are almost certainly likely to find the listing price post a few months after the hype is over. They almost certainly will get a second chance and by that time lot more information is in the open and a retail investor can then decide if he really wants to buy still. Maybe best to wait for a couple of quarters at least for financials to be disclosed. Very true Vamsi. Thanks for the comment. 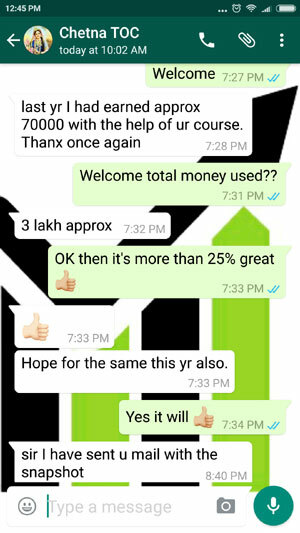 Thanks Dilip. I fully agree with your comments on the IPO. some people may say its exclusive experience to few people. But i know – i faced some of the problems you mentioned with recent VRL. or long back with a stock called Yennapoya. After the listing of IPO, when it is stable or growing stablly we can buy/invest in it. Hey Srinivas I searched for stock called â€œYennapoyaâ€. I see that it is still not listed. â€œYenepoya Minerals and Granites Ltd.â€ is neither listed in NSE nor BSE. Anyways this is a BIG WARNING for retail investors: Stay miles away from investing in any company that is relatively unknown like â€œYennapoyaâ€. Well here I am not talking just IPO – but stay away even if its being traded. Such unknown companies must be avoided like plague. Their managers come with IPOs to make money – they are least bothered about their share-holders. Companies in Group M, Group T, Group MT, Group Z. Think that they do not exist in this world. Make less but always invest in good companies.